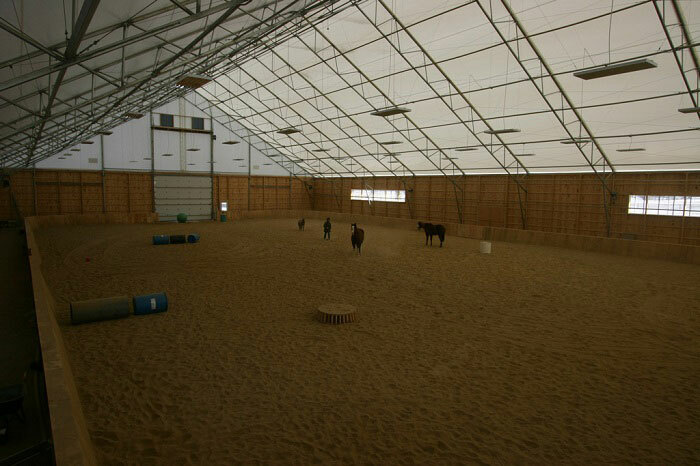 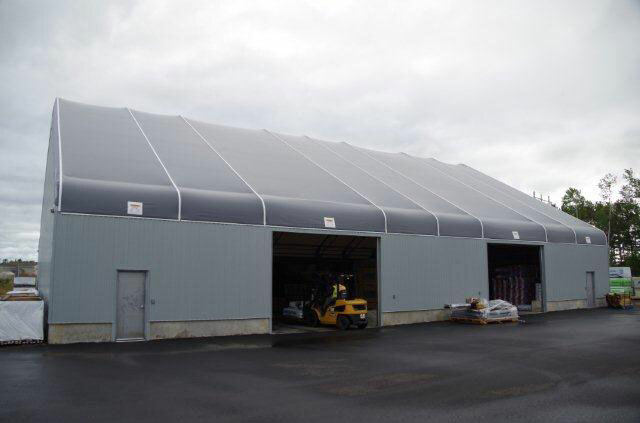 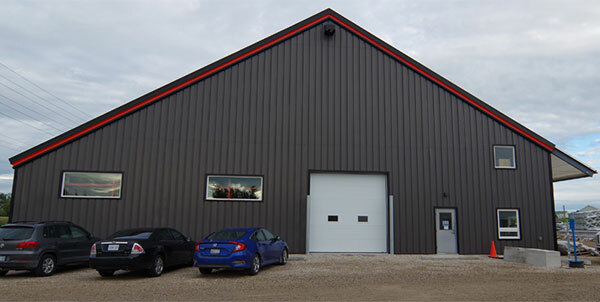 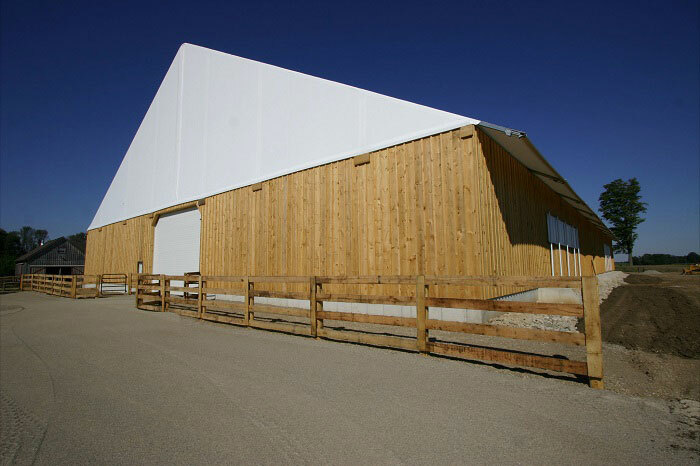 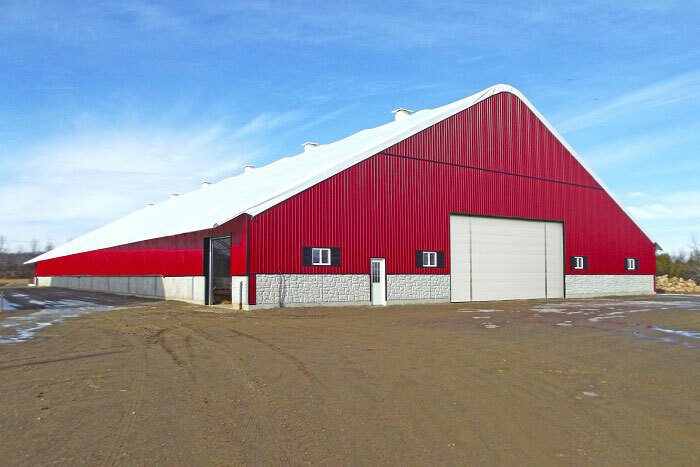 From 80’ to 120’ wide ~ the Epic Building Series represents the next generation of style and strength of fabric buildings. 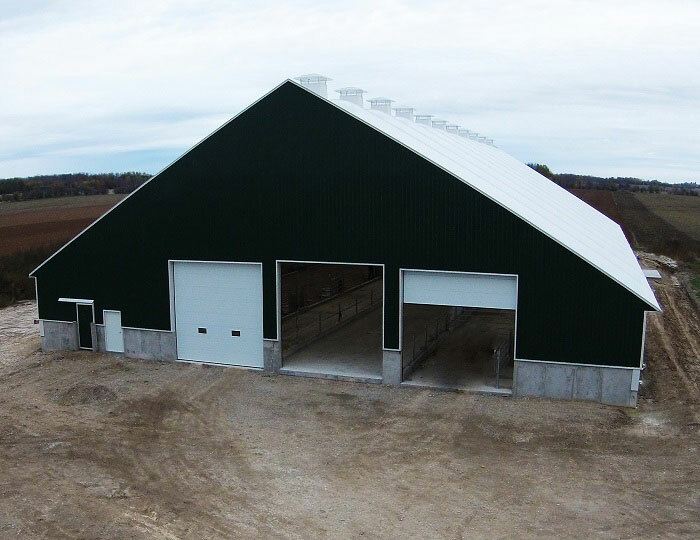 The new clean look of the standard eave straight roof design and the straight sidewalls gives the building spacious inside height and maximizes interior clearance. 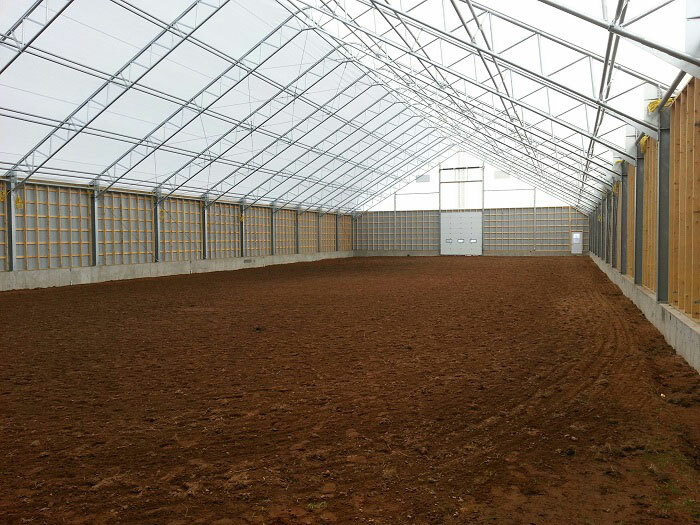 Curtains and screening features and flexible door locations are easily realized with the straight wall design of the Epic series. 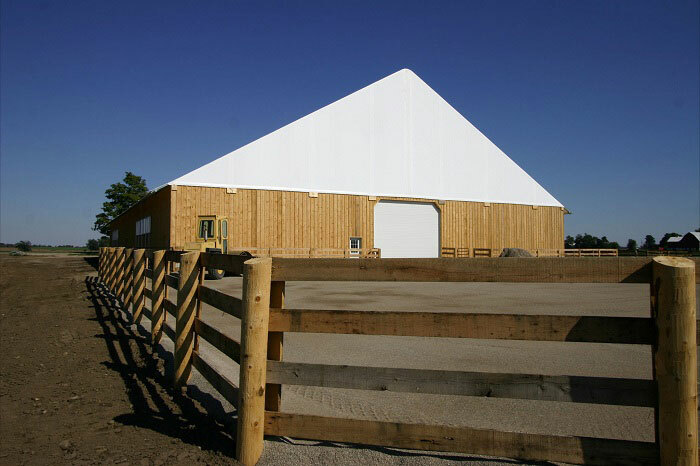 These versatile structures lend themselves to numerous exterior finishing option to match any architectural theme. 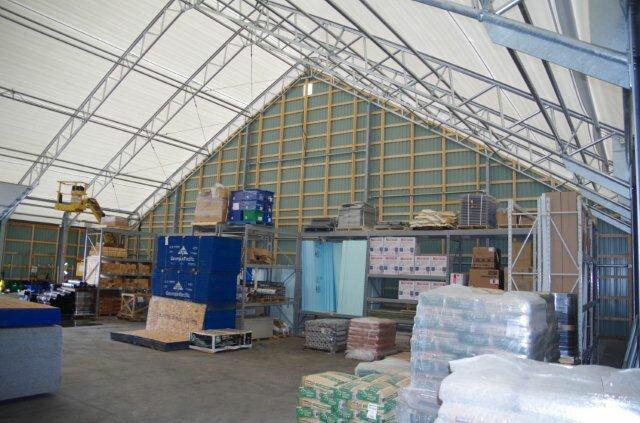 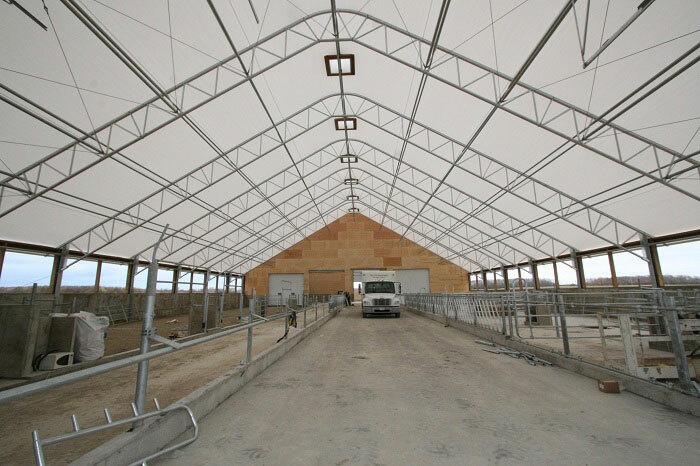 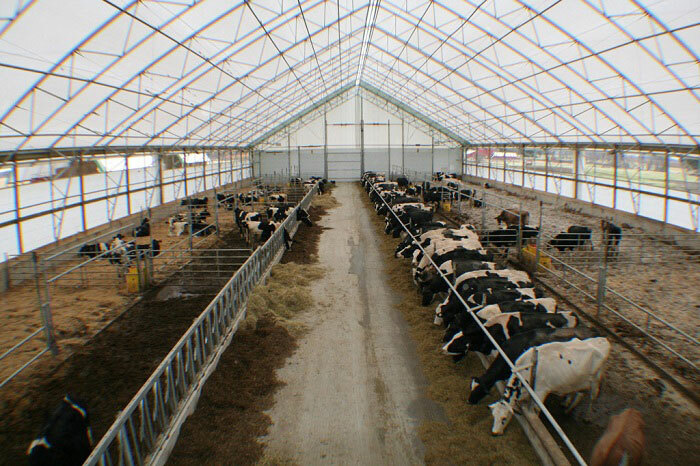 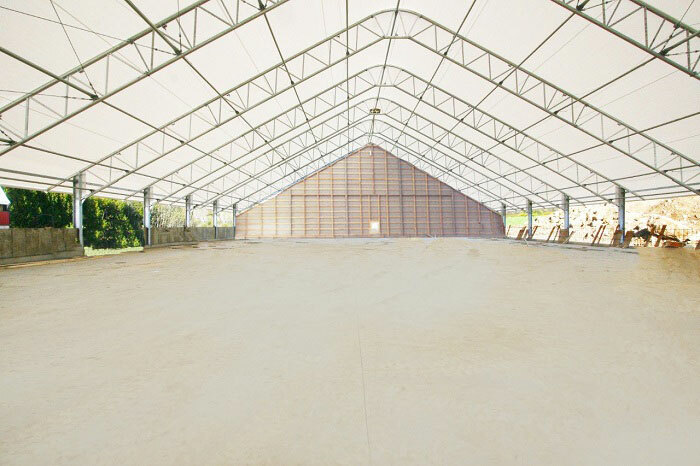 All the many benefits of a fabric structure such as natural lighting, superior air quality and ventilation and no interior columns are realized, while maintaining the look of traditional buildings. 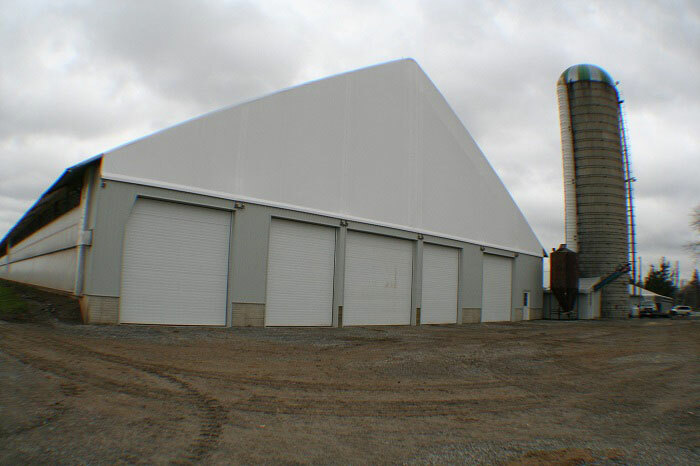 Where condensation purging is critical, chimney vents are available.